Are You Planning An African Safari To Mikumi In Tanzania? Scroll Down..
Stanley's Kopje Camp in Mikumi National Park - Southern Tanzania is set around and upon a small, rocky outcrop (dutch ~ kopje), commanding unending views of the flat, golden savannah of the Mkata flood plain, which changes color from beige through straw to orange, yellow, amber and treacle brown as the sun traverses the burning bowl of sky. The kopje supports a small population of hyrax, klipspringer, mongooses, lizards and an occasional yellow baboon from further south. 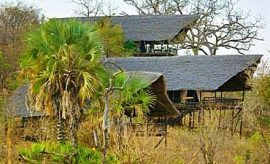 The camp is secluded and close proximity to the game rich Mwanamboga waterhole dam with its resident hippos and crocodiles, and is frequented by many thirsty ungulates e.g. impala, buffalo, giraffe, zebra, as well as their predators, cheetah, leopard, lion and hyena. The small, intimate Stanley's Kopje was rebuilt in 2011 from the former branded Foxes Safari Camp to appeal to adventurous African travel enthusiasts with airy, simple, but pleasant aesthetically satisfying thatched tents raised on stilted decks. Stanley’s Kopje Camp is only open in the dry season from June to February as the black cotton soil is saturated in the wet season resulting to very demanding game driving experiences with access to only short distances. Mikumi National Park, one of the oldest in Tanzania, is part of the southern Tanzania’s Selous ecosystem. 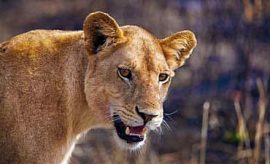 It lies to the north of the Great Ruaha River, between the massive southern Selous Game Reserve and southwestern Ruaha National Park, and is an ideal short mid-point stopover break on a Tanzania’s National Parks and Reserves southern tour circuit with AfricanMecca. 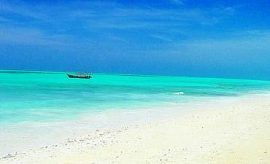 Although Stanley’s Kopje is quickly accessed by air from Dar Es Salaam and is only five kilometers from the busy Tanzam Highway entry point into Mikumi. When inside the park, it preserves the impression of wilderness as experienced by Henry Morton Stanley as he searched for Dr. Livingstone on his expedition safari in Tanzania in 1871. 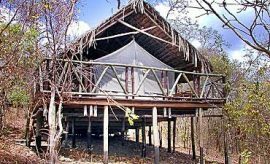 8 well-designed tents protected by deep thatched makuti roofs stand on solid raised decks on the side of a small kopje overlooking the plains and waterhole to provide game-viewing unrivalled elsewhere on your exploratory tour in Mikumi with AfricanMecca. Elephants bathe, giraffe drink and hippo wallow in this sheltered, shallow ribbon of water on an otherwise dry expanse of acacia-studded landscape. Unusually, the elephants graze here rather than depending on acacia branches for forage. 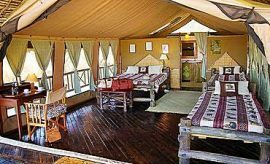 Each tent is elegantly but simply furnished in earth colors with ethnic prints and has wooden twin or double beds and an en-suite bathroom at the back with a flushing toilet, hot and cold water for showers and twin basins for hand/face washes. The camp is eco-friendly. Guests are requested to help in using water and power sparingly. Drinking water is provided separately and solar-powered electricity is available morning and evening. In the early morning, you can observe a range of wildlife including many visiting rarities from the private verandah of your airy and comfortable bush dwelling. African painted dogs have been seen here, their tan bodies and black and white legs hard to spot in bright sunlight. Many unusual antelopes, large eland, and smaller Lichtenstein’s hartebeest are often seen amongst the zebra and buffalo. Children over two years old are welcome on a Stanley’s Kopje safari, although may not be ideal due to the setup of the camp; a laundry service is also provided. 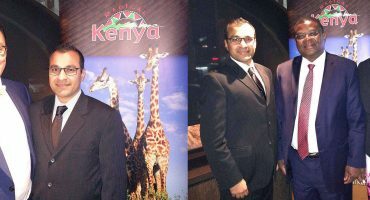 Well-trained, friendly staff all speak English as well as Swahili, and contribute to the intimate, personalized atmosphere of your yesteryear tented safari holiday visit in Africa. Game viewing drives are the unmissable experience of any Africa tour. In Mikumi at Stanley’s Kopje, this is a very exciting option with a range of interesting and unusual residents to be seen on the rolling grasslands. 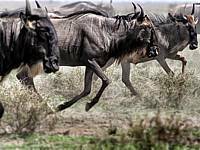 Vast herds of buffalo, groups of up to 10-15 giraffe and wildebeest by the hundred vie with zebra, elephant and antelope for your attention. 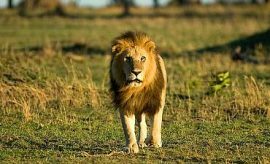 Photography in the changing light gives vibrant contrasts, and stark drama to your subjects, especially to yawning lions and vultures crouching in wait for a kill they can share (read more on when is the best time to visit Mikumi National Park). Large numbers of wading birds, egrets, Sacred ibis and migrant European white storks fringe the hippo pools and the enclosing mountain ranges with scrub forest conceal burnished sable antelope, and as well as camouflaged Kudu with soft beards and bristling manes. 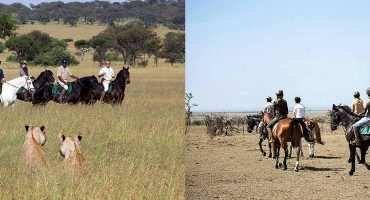 The quality of any game drive depends on the experience and enthusiasm of your guide but rest assured AfricanMecca only delivers the best. In a comfortable, well-maintained four wheel drive vehicle with sun awning and tiered seats for unobstructed views, you can be sure of memorable sightings in comfort and safety. On-board two way radio provides additional reciprocal up-to-date information on game tracks and sightings as well as fulfills the need of the vehicle logistical communication with the camp. Bird watchers on safari will be well rewarded with dazzling flights of sunbirds and rollers, or bizarre parades of blue-wattled bustards in full breeding glory – over 400 avian species exist in Mikumi. 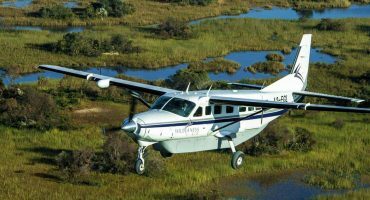 For a wider ranging African safari, you could take a safari combo trip to the spectacular scenery of neighboring Selous Game Reserve and Ruaha National Park. The cool, relaxing main lodge area at Stanley’s Kopje overlooks a small swimming pool and boasts a fully stocked octagonal bar with a large wildlife bas-relief tile central to each stone-built facet. Tea and coffee are available on request throughout the day. There is a shady dining room with delightful views across the sunlit plains. Locally sourced foodstuffs are prepared in a tasty combination of Intercontinental, African and Swahili ingredients and cooking styles, making your dining experience a gourmet adjunct to your African safari. Wake up to an early morning tea or coffee before departing on an early morning guided trip in Mikumi to see the sights you dreamed of when you first planned your vacation to Tanzania with AfricanMecca. Breakfast is a flexible buffet with a choice of hot or cold foods, English or Continental style. Lunch also consists of a cold buffet to fit in with your activities. After an early safari, you may take a well-earned siesta before a later game drive in the afternoon, or you may prefer a full day safari with a packed lunch to tide you over until sundowner drinks as you watch a spectacular sunset around a camp fire. A fixed dinner menu is served in the restaurant and features imaginative regional cookery from different cultures. Round off the evening in friendly solidarity on the stone flagged verandah of the comfortable lounge area or watching the leaping camp-fire flames. When staying at Stanley’s Kopje Camp in Mikumi, we recommend combining it with offbeat parks in Southern and Western Tanzania such as Selous, Ruaha or Katavi ending with a chimpanzee trekking safari at Gombe or Mahale.